Join us for an inspirational music conference with guest key note from acclaimed educational consultant and former Head Teacher, Dame Reena Keeble. 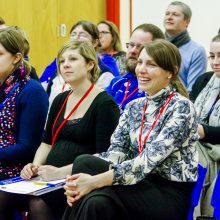 This practical conference is aimed at all teachers interested in music in the primary sector and new assessment materials, commissioned by Lancashire Music Service, for tracking progress and achievement music will be launched. Dame Reena who is one of the UKs leading educational consultants and led the research for the report Effective Primary Teaching Practice (2016) will welcome questions. The new materials to be launched are part of work Lancashire Music Service commissioned with a small group of experienced Subject Leaders in Music to look at reporting and assessment in music. This working party produced and piloted systems that are ‘designed by teachers for teachers’. This promises to be a great opportunity to develop and enhance music in your school.